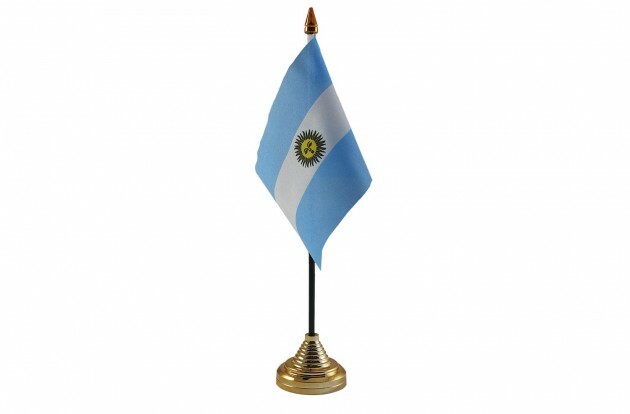 General Manuel Belgrano, the leader of the revolution, first time erected the flag of Argentina in 1812. 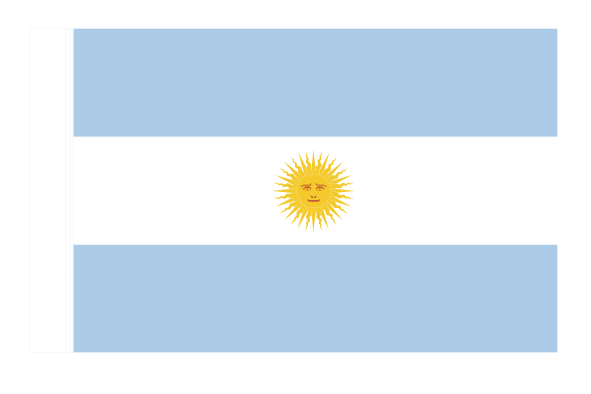 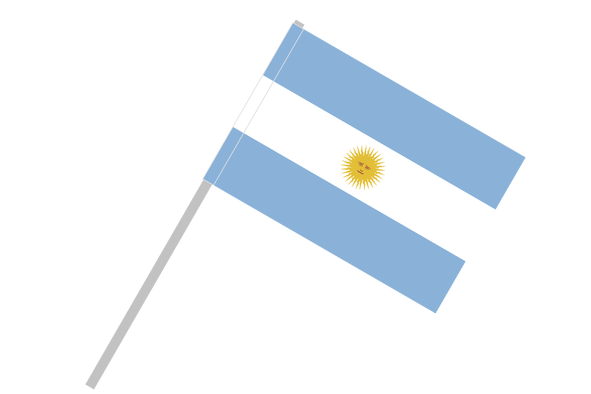 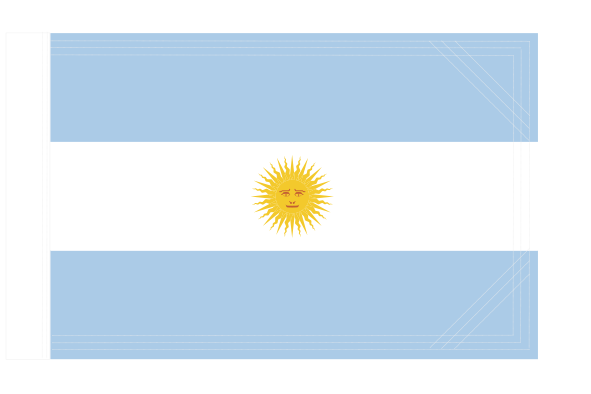 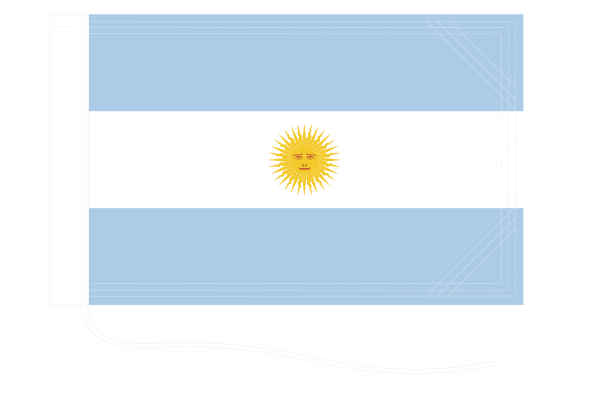 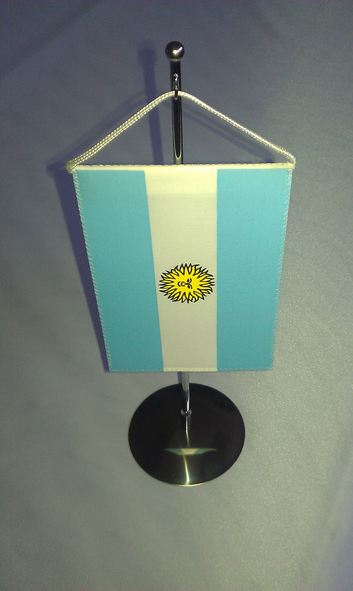 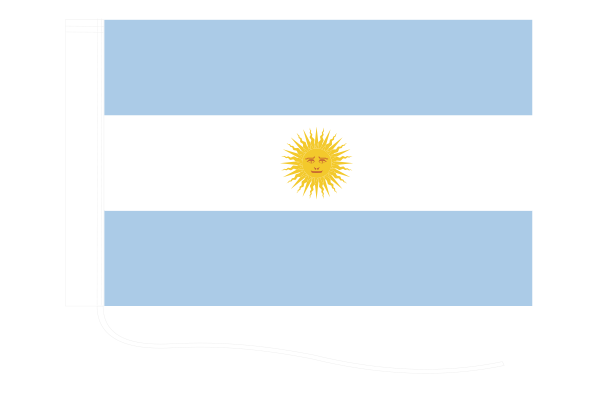 The Argentinian flag displays three equally horizontally bands of light blue, white and light blue. 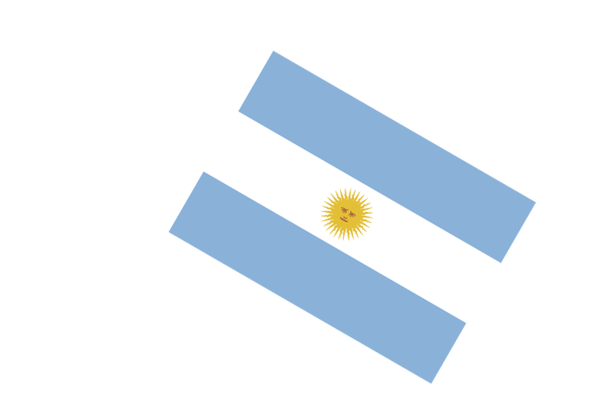 Light blue called celeste is the clen sky and white is snow on the Ands. 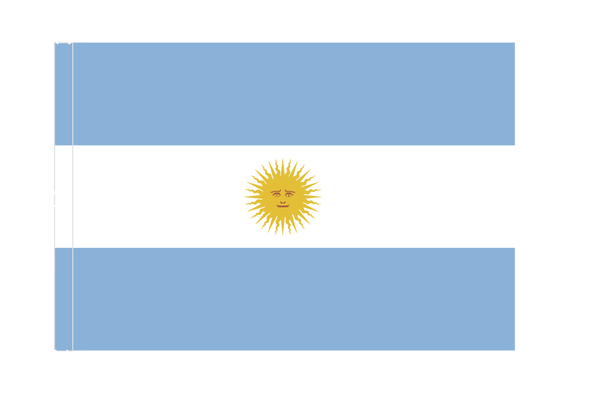 There is yellow sun with the human face known as the Sun of May in the center of the flag. 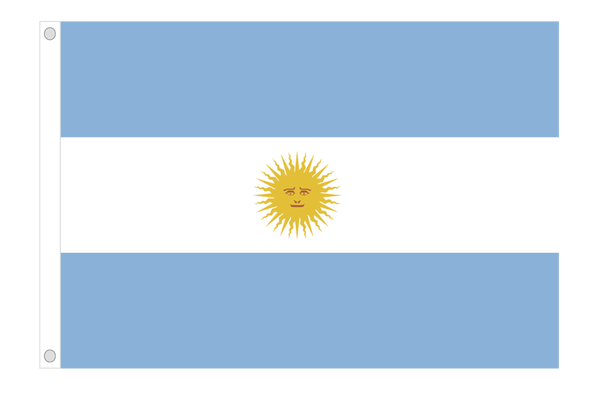 The emblem symbolizes the Inca god of the sun.